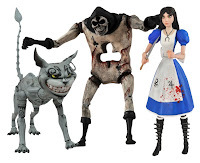 Comic and specialty shops are getting a dose of Wonderland this week as Alice and 'friends' (as featured in the Madness Returns videogame) hits store shelves along with a Chitauri soldier from the Avengers movie. 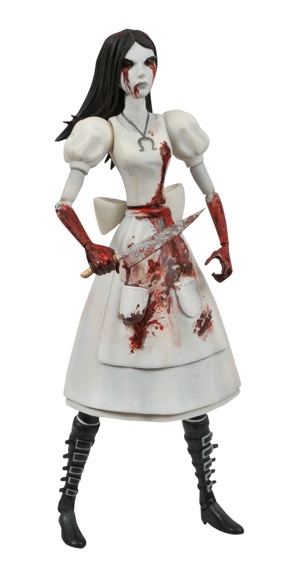 Alice from American McGee's twisted vision of Wonderland comes in a pair of flavors- standard and her invincible 'Hysteria mode'. Both come complete with Vorpal blade, pepper grinder, and hobby horse. The deco and paint app on this line is particularly great- especially the Hysteria Alice, really excellent stuff. I had the pleasure of seeing them up close and personal at the SDCC and I can say that fans of the game will not be disappointed in the least. 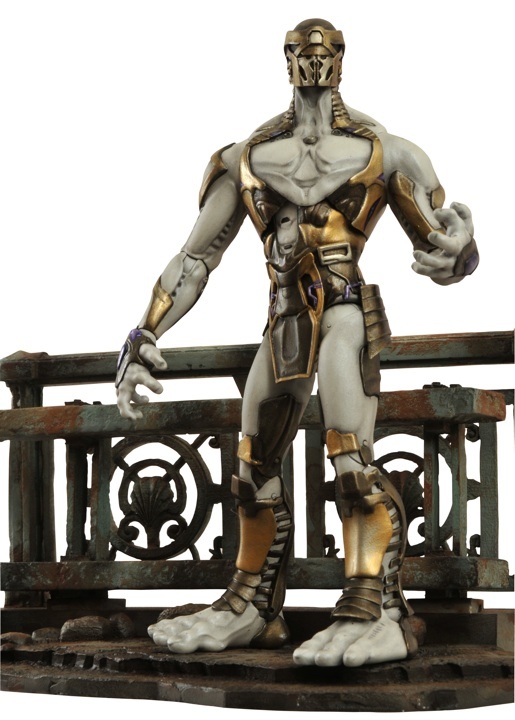 The Chitauri Soldier comes with a base that's modeled to resemble the NYC bridge where the final battle of the film took place- it also connects up to Hawkeye's base so you can build up you own diorama to show off your figures.